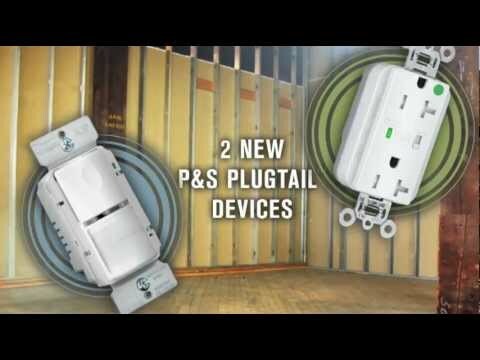 Pass & Seymour PlugTail™ Right angle receptacle connector features plug-in connection and 6-Inch cord. The ultrasonically welded polycarbonate connector housing provides secured terminations. 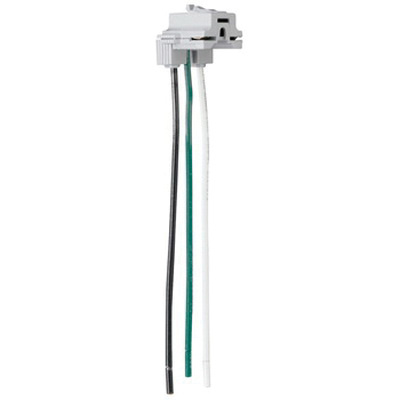 It is perfect for use with hospital grade straight blade receptacle. This solid connector in gray color, has covering patent, circuit label on back and pre-stripped connector leads. Receptacle connector meets cULus and NAFTA standards.